I have often wondered what approach I would take to develop local comedy talent as quickly and effectively as possible if I did own a comedy club – and do it for the benefit of the comedians as well as the comedy club. 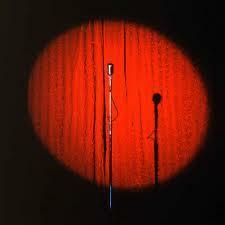 Well, you might be surprised to hear that I would not have comedy club open mic nights in the traditional sense (where one non-screened, ill-prepared, unfunny new comedian follows another after another until the audience is “walked” throughout the open mic night). Instead, I would have paid shows (albeit discounted shows) called something like “New Talent Showcase”, “New Talent Spotlight”, etc. While these shows would include new comedians, they would be encased with professional or highly experienced comedians who could actually deliver the goods and make these shows worthy of an admission fee. But let me start by identifying the goals I would want to achieve if I did own a comedy club and wanted to develop high level local comedy talent in the shortest time possible. 1. Develop comedy talent at every level who could consistently average 18+ seconds of laughter each minute whether they are an opening act 15 minutes of stand-up comedy material or a headliner with 45 minutes of stand-up comedy material. 2. Establish the comedy club as a premium resource for corporate or corporate-type stand-up comedy entertainment – year round. It only takes 3 comedians with a powerful and clean 15 minute stand-up comedy act apiece to make up a full blown, 45 minute show that is highly marketable in the corporate markets. And if you have read this blog for any period of time, you should already know that you DO NOT have to have the “title” of headliner to generate headliner level audience laughs. Implemented effectively, this single aspect of training local talent alone could ultimately generate tens of thousands of dollars annually for the comedy club, not to mention that it would provide a fairly significant income for the comedians who could deliver a corporate clean act – whether as a group or on an individual level. The talent is there in virtually any area – it just needs to be properly trained and developed. Note: There would be no restrictions on the type of stand-up comedy act a comedian chooses to develop, clean or otherwise — provided that the audience laughter generated was at a significant level. But every comedian would know that if they choose to develop an “adult’s only” act, they would be excluded from the corporate comedian pool, where there would be more performing opportunities and more pay. 3. Develop an incentivized system of show promotion that eliminates the typical “bringer show” approach in order to getting stage time. Comedians would be trained on how to use Twitter, Facebook and offline discount coupons, 2-for-1 discounts, etc. to promote shows in conjunction with an interface on the comedy club website that gives them credit or an incentive for their efforts. Note: The incentive for this would need to be something other than stage time exclusively because I would not want to have someone promote a show and get stage time for that if they really couldn’t deliver the goods. I would strive to have every possible spot in a week long comedy club line up filled with as much local talent as possible. I would strive to provide performing opportunities for local talent outside the comedy club environment (ie: corporate comedy gigs) that simply are not typically considered by comedy club owners and managers. But, any opportunity provided to ANY local comedian associated with my comedy club would be performance based — specifically on their ability to generate audience laughter as evidence by Comedy Evaluator Pro. Make no mistake – those who couldn’t cut it would be weeded out in short order to make more opportunities for those who can do – good opportunities that are not usually afforded by most comedy clubs and their poorly executed open mic nights. Find out for yourself why Steve Roye is a top stand-up comedy expert/trainer globally for both new and experienced comedians as well as for humorous speaking professionals. This entry was posted in Editorial and tagged comedian, comedians, comedy act, comedy club, comedy material, corporate markets, open mic nights, stand up comedy by Steve Roye. Bookmark the permalink. Only the committed performers are allowed. Your club strategy makes sense and I would think would be common among all popular comedy clubs. It really is all about delivering the goods! It means that you have gotten further than most but still have room for improvement. It sounds like the way you would run it, the show might also be able to become a profit center for the venue. In fact, it might not even have to be at a comedy club. In NYC, where I am from, a lot of open mics take place outside the comedy clubs….in bars and coffee shops, etc. If you could generate a little income for the venue while developing marketable talent for the local corporate community….well, it seems that now you’re talking about producing a show that has grown out of an open mic situation. That’s smart. I never thought about it that way.